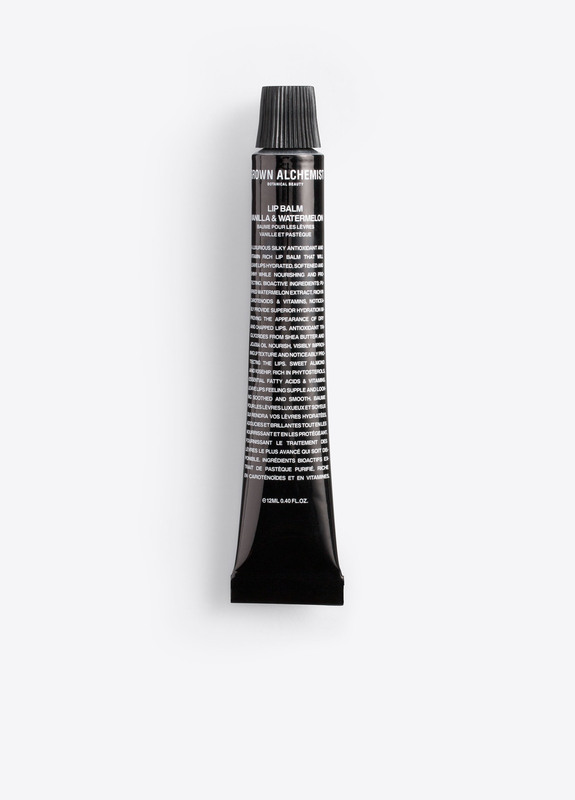 A moisturizing lip conditioner, this silky lip balm leaves lips feeling hydrated, soft and shiny. Watermelon extract, sweet almond and rose hip oils, as well as shea butter and jojoba oils, help moisturize the lips in dry and cold climates. Free from parabens, glycols, petrochemicals, animal derivatives, silicones, artificial colors and fragrances. Ingredients: ricinus communis (castor) seed oil, bis-stearyl ethylenediamine/neopentyl glycol/stearyl hydrogenated dimer dilinoleate copolymer (plant), cera alba (beeswax), parfum (hypo-allergenic), tocopherol (plant), citrullus lanatus (watermelon) seed oil, citrus reticulata (tangerine) peel oil, citrus aurantium dulcis (sweet orange) peel oil expressed, rosa canina (rosehip) fruit oil, prunus amygdalus dulcis (sweet almond) oil, simmondsia chinensis (jojoba) seed oil, butyrospermum parkii (shea) butter, vanillin (plant), limonene (plant).Free from gylcols, petrochemicals, silicones, parabens, synthetics, fragrance and animal derivatives.